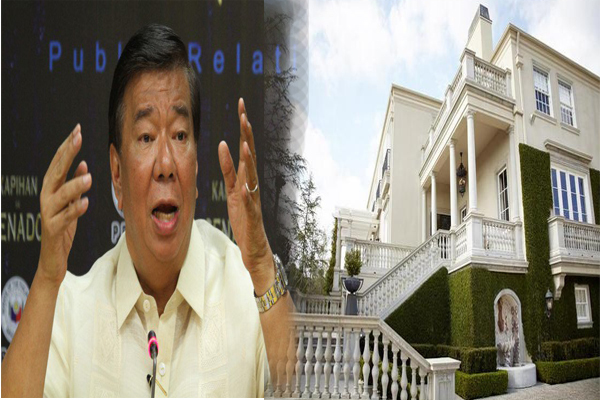 Former Technical Education and "Skills Development Authority (Tesda) chief Augusto Syjuco Jr. reported that Senator Franklin Drilon bought a Forbes Park mansion 10 years ago using his stepdaughter as a guise. "In 2004, a Miss Eduarda S. Genuino acquired a 1,5422-square meter Forbes Park mansion for P50 million located at 17 Kawayan Road, North Forbes Park," Syjuco said in his open letter to the Senate. He explained that Genuino is the stepdaughter of Drilon and was a "simple wage earner" aged around 20 who could not have afforded a Forbes Mansion by herself. "When she acquired this property, she was "single" and she listed as her address the house of Drilon at 49 Polk Street, North Greenhills, San Juan, Metro Manila," Syjuco added. Genuino is Drilon's daughter to his second wife. Syjuco further expressed that "many are appalled that Drilon could have corrupted this young and innocent (girl), allegedly teaching her to be in 'cahoots' with him in consummated money laundering. Syjuco's report was in line with the investigation of the overpriced International Convention Center (ICC) in Iloilo which was backed up by charges made by former Iloilo Provincial Administrator Manuel Mejorada who said that Drilon had a share in the kickbacks from the project.